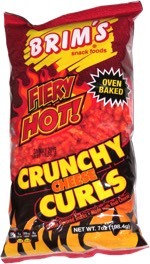 They're not hot, but they've got lots of sweet barbecue flavor. 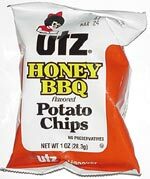 They honey flavor is not dominant, but it definitely enhances what is already a good Utz barbecue flavor. From the package: Ingredients include Honey Powder and Molasses Powder.